Apple's Worldwide Developers Conference is the company's biggest yearly event — and although the focus is, as the name indicates, on developers, exciting new products and updates still tend to appear. Here are the rumors that have been swirling ahead of the weeklong convention's kickoff on Monday in San Francisco. First, though, we have to say that Apple's flashiest 2014 product debuts probably won't come next week. New iPhones, iPads and MacBooks, to say nothing of the Apple TV set and iWatch, probably will get a separate event or three later in the year. That still leaves plenty to work with, though! Let's look at the rumors roughly in order of likelihood. Next week, you can count on Apple making existing devices more powerful and laying the groundwork for future products and services. OS X 10.10, the next version of the Mac operating system, is expected to be a relatively major break from tradition, with a visual overhaul and close integration with iOS. But beyond that little is known; whether that suggests intense secrecy or a run-of-the-mill update is hard to say. iOS 8, the upcoming upgrade for the iPhone and iPad, is also on the way, as banners at the venue indicate. While iOS 7 was a big visual update, iOS 8 will likely be playing catch-up with the iPhone's competitors. Public transit in Maps, new features for Siri and a Shazam-like music-identifier feature are potentially in the works. After buying Beats for $3 billion, Apple will surely want to make the most of it at WWDC — chances are the two companies have been working together on integrating their services for some time. Expect interesting subscription services and possibly plans to bring the well-known Beats hardware into the Apple stable. Here we have the things Apple is almost certainly working on, but which no one is quite sure how close it is to releasing. The Internet of Things is blowing up, but Apple hasn't really tapped into that whole smart home/self-monitoring trend yet. 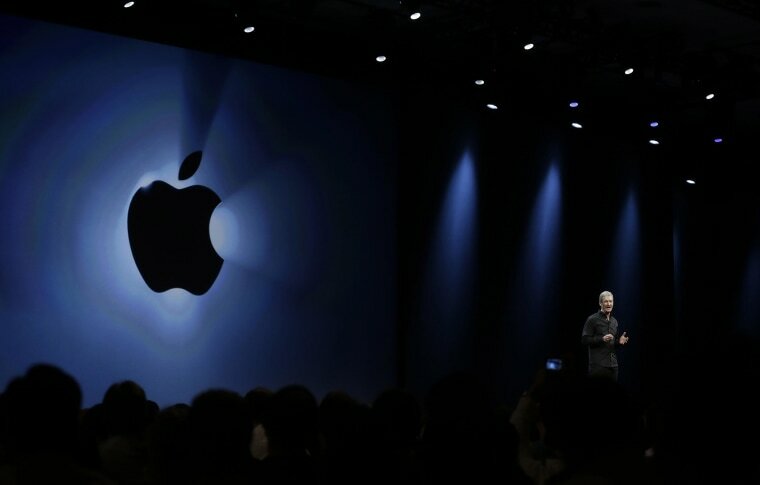 Could WWDC be the big debut? Purported screenshots of a health-monitoring app that tracks blood pressure, hydration and sleep patterns emerged earlier this year, but that's no guarantee. Even the long-rumored iWatch (which we don't expect for at least another few months) wouldn't be all fitness-focused, like so many wrist-worn gadgets out there (and the recently rumored Microsoft smartwatch). Apple wouldn't be satisfied with anything less than a total leapfrogging of the competition in that sector, or else it wouldn't enter the crowded market. What about the home? After attacking the living room with its Apple TV digital-media player, the company may be keen to move on to the rest of the house with iPhone-controlled lights, hi-fi, and anything else that can be adjusted wirelessly. Another motive: revenge on ex-Apple designer Tony Fadell, who built the Nest thermostat and sold it to Google for a fortune. A new iOS feature that may or may not show up is split-screen multi-tasking — a stable of Windows 8 and the Galaxy Note series of phones that Apple, in all likelihood, secretly covets. But it may not be quite ready for public consumption. Lastly, how about some new emojis? Apart from the iPhone and iWatch, what's definitely not coming next week? Rumors of a larger iPad have persisted for years now — but WWDC isn't the place where that's going to happen. Apple has made so much of how the iPad and Mini are the perfect size that a larger version will take a whole event to justify. The addition of Touch ID sensors to the home buttons, too, will have to wait. Also spoken of is a 12-inch MacBook, blending the portability of a MacBook Air with the graphical chops of the Pro, including a Retina screen — but that too seems too great a change to expect at an event like this one. On the other hand, the Mac Mini hasn't been upgraded in a year and a half, making it due for a refresh. But a simple spec bump or price drop doesn't even necessitate an on-stage mention — it might just happen. Ditto for updated iMacs. We could be wrong about all this, of course, but what you see above seems to be how the wind is blowing. We'll know for sure next week — tune in for our live coverage then.